Abdualmalik (Alrahabi) Abud, originally from Yemen, was detained at Guantánamo for almost 15 years before being released to Montenegro in 2016. He began creating art during his last years at Guantánamo. Whenever he thought of his wife and daughter, he would begin to draw, in order to forget that he was imprisoned. 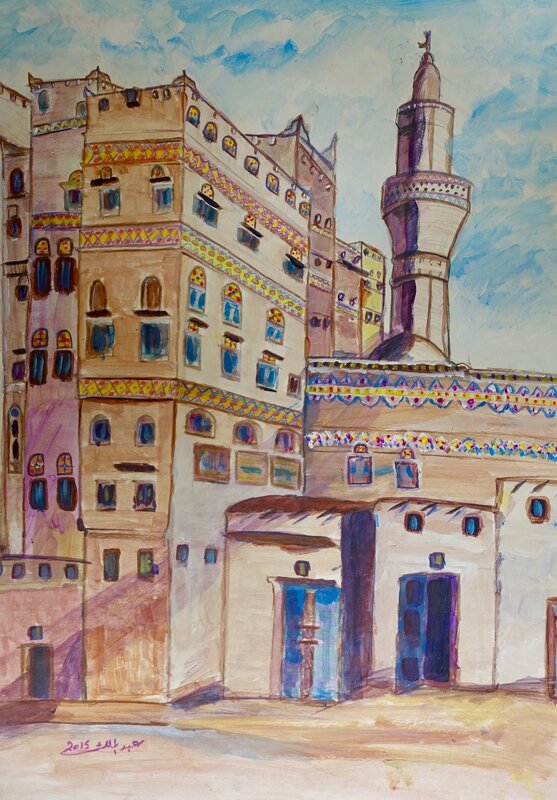 He frequently drew the complex architecture of Sana’a, Yemen. 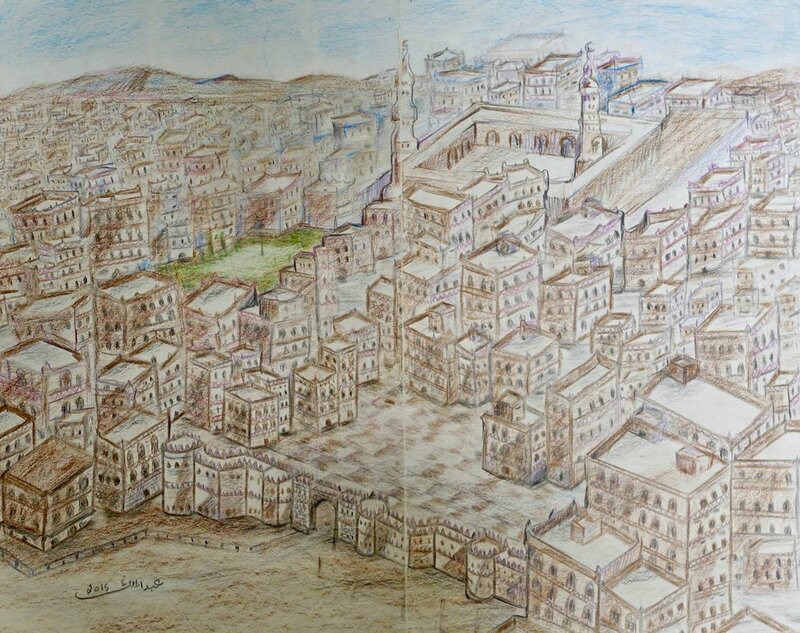 Abdualmalik Abud, Blue Cityscape, 2016. Abdualmalik Abud, Sunset with Bridge, 2016. 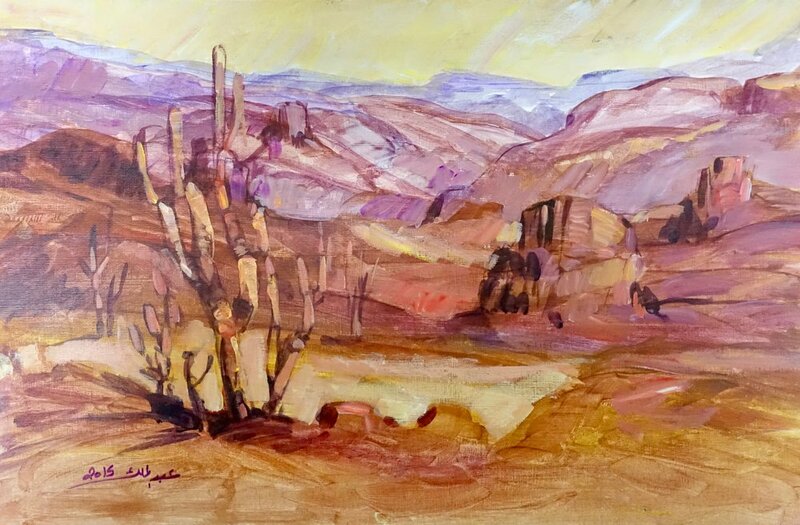 Abdualmalik Abud, Desert Landscape, 2015.